Follow Beth Healey, a 28-year-old medical doctor from London, through her 14-months at the Concordia Station ending in January 2016 as a European Space Station researcher. Here is an excerpt from her blog and a link to Part 5: Chronicles from Concordia. One of the most hostile environments for an analog is Concordia located more than 600 miles from the coastal stations of Antarctica. Many researchers use this facility to study psychology, physiology, and medicine. Some mission crewmembers perform a winter-over where they are part of research lasting the entire winter, which in Antarctica is nine months. Looking up towards such a plethora of stars – many of them with planets of their own we know today – I could not help wondering what worlds might be out there, and whether there could be anyone or anything looking back in our direction. 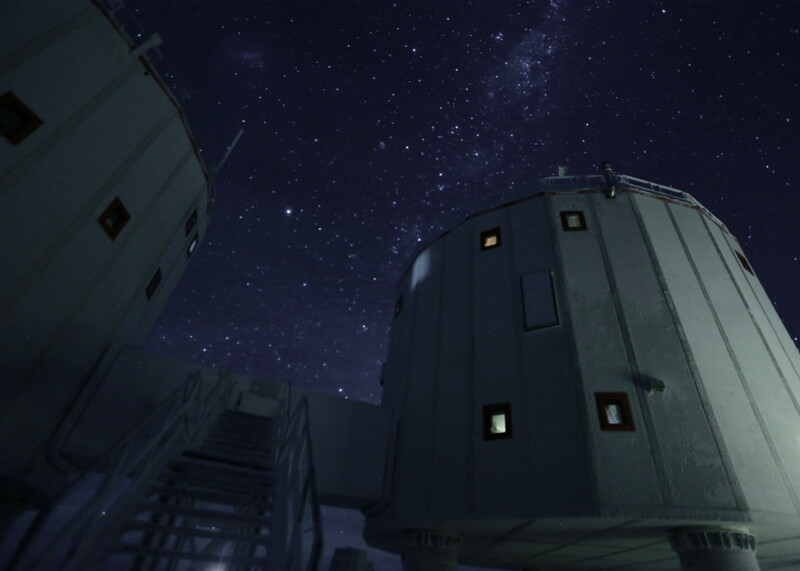 It felt strange and exciting to run experiments preparing for humans to stay on moons and planets, with the Milky Way in all its vastness and splendor right above our heads. Would humankind one day even take that real step to the stars and travel beyond our Solar System? 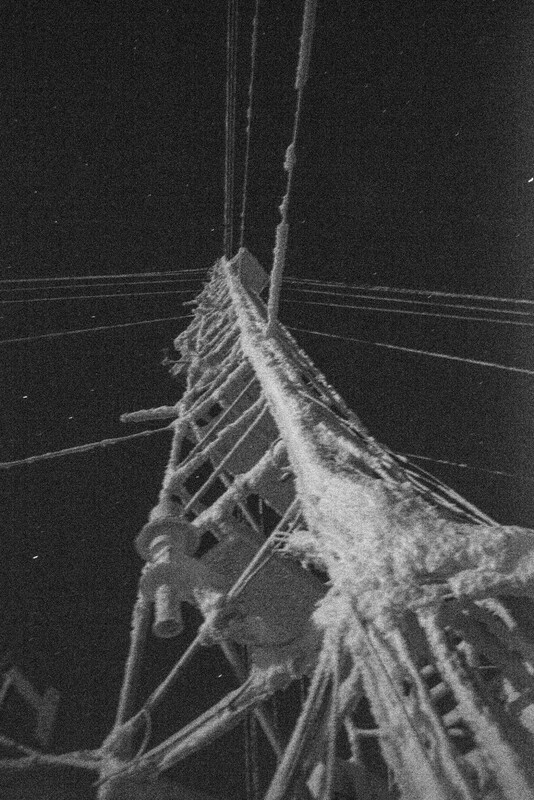 We did not see the sun for 105 days at Concordia during this polar night. Much like me, I am sure everyone was affected, but the crew reacted in different ways and people were affected more at different times. It was difficult to predict how people would feel and behave on different days. Follow Beth Healey, a 28-year-old medical doctor from London, through her 14-months at the Concordia Station ending in January 2016 as a European Space Station researcher. Here is an excerpt from her blog and a link to Part 4: Chronicles from Concordia. My best way of dealing with the suspenseful waiting for winter was to focus on my work. The days quickly got shorter and shorter, the light itself was failing as the sun was slipping away. The scenic beauty of the landscape around the station faded as the season steadily and inexorably turned from intimidating to deadly. More and more I actually wanted winter to start. The sooner it starts, the sooner it finishes. And soon enough we looked out of the window towards that last sliver of sun on the horizon, knowing that this was the last sunset – or sunrise – we would see in four months’ time. Not only winter was here, but night as well. Without the sun, Concordia really did feel like a different planet. “White Mars” as it is often called, or perhaps one should say “Dark Mars”. In some way the sun had made me feel connected to the outside world. The sun, at least, was the same as back home, and this gave me a sense of familiarity. Losing that made me feel cut off, in a different world. The sun also gives you energy, especially in the morning. Without it I felt like I was working on a continual night shift. I worried I had become someone different. Follow Beth Healey, a 28-year-old medical doctor from London, through her 14-months at the Concordia Station ending in January 2016 as a European Space Station researcher. Here is an excerpt from her blog and a link to Part 3: Chronicles from Concordia. At a few points during the summer period I did consider my decision to come there, and if it was indeed the right choice for me. The approaching day of “no return”, when the last plane would leave and I would be facing nine months with just twelve other people, gave me some anxiety. What if I had made the wrong decision? The most frightening aspect was not the lethal cold outside, but the isolation inside and how we would react to it – me included. Follow Beth Healey, a 28-year-old medical doctor from London, through her 14-months at the Concordia Station ending in January 2016 as a European Space Station researcher. Here is an excerpt from her blog and a link to Part 2: Chronicles from Concordia. I was lucky enough to be allowed to stay in the cockpit for the landing at the coastal station and watched in awe as we touched down smoothly onto the ice runway. We had arrived at the entrance to this frigid world… As we flew in over the mainland, the full magnificence of the place became obvious. As Scott, the polar explorer long before me, had put it in his journals, Antarctica “satisfies every claim of scenic magnificence.” He was right. 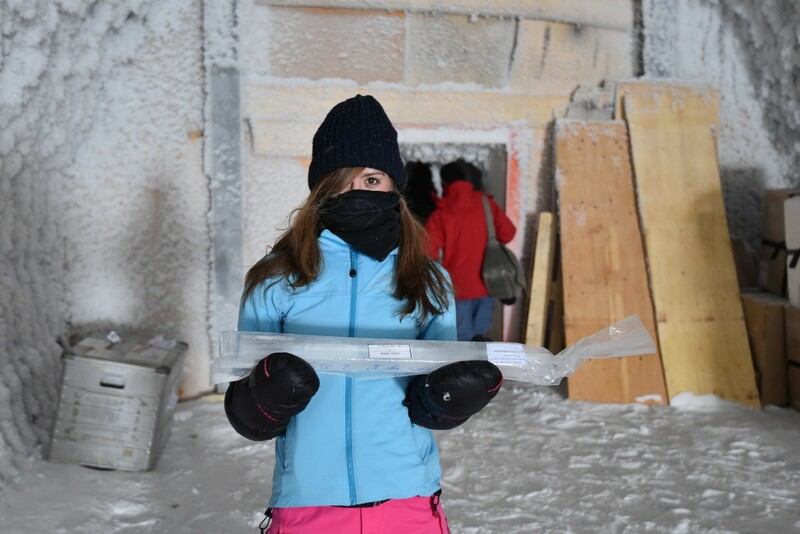 Beth Healey, a 28-year-old medical doctor from London, spent 14-months at the Concordia Station ending in January 2016 as a European Space Station researcher. She recently began posting reflections about the experience. Here are a few excerpts from her blog and a link to Part 1: Chronicles from Concordia. Stepping out of the plane was like stepping out on another planet…There is a reason Concordia is often referred to as “White Mars”. There are no penguins or seals there, no native animals, let alone native people. The bright light of the 24-hour Sun reflected off the snow is blinding. My labored breathing was not out of physical exertion, but caused by the high altitude – as if we had been up on a summit of the Alps. Except for our group, the place was completely still and ghostly silent. I am 28 years old and like what many girls my age do – shopping and getting a good haircut, and I don’t mind a nice spa treatment once in a while. These features are generally not considered well suited to life in a polar environment. However, I do not see why that has to be the case (although admittedly shopping may have to wait, spas will be run on a very individual basis and a decent hairdresser may be the last of your preoccupations at -80C). It is true, I am not built for minus 80 degrees cold, but then, who is really? 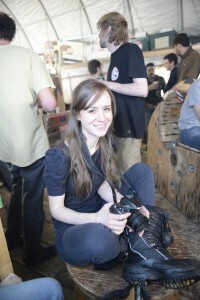 So why should not I, Beth Healey, go polar for real? 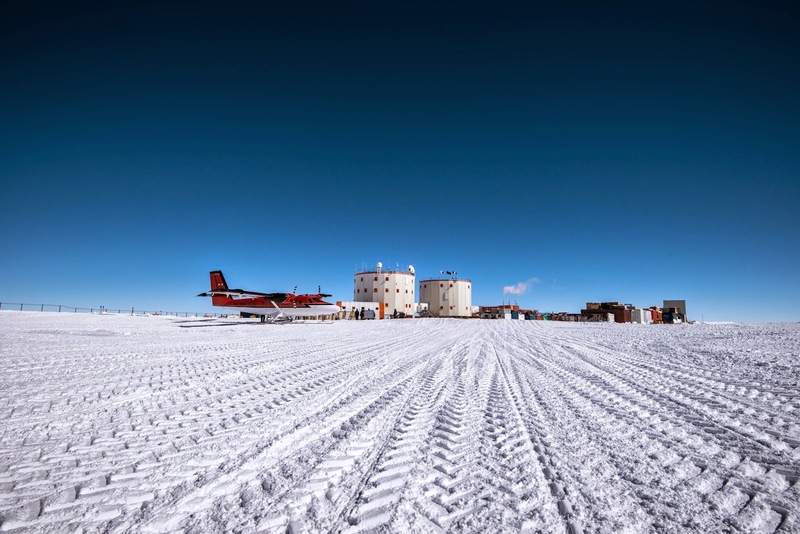 NASA and ESA are working with the British Antarctic Survey to study how humans survive conditions resembling a long duration spaceflight or staying on the Moon or Mars. Fortunately, there is somewhere on Earth where people are as isolated as astronauts – Antarctica. 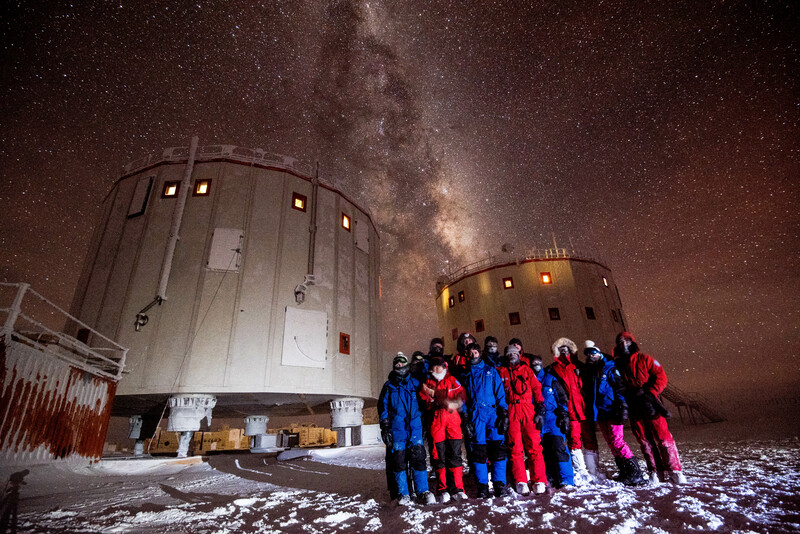 During Antarctica’s long winter, people on the Concordia research station feel as if they are on another planet. There are sub-zero temperatures, it is difficult to breathe inland as the air is so thin, and some parts of the continent are cut off for months on end, leaving people isolated with no way home. In this film ESA medical doctor, Beth Healey (who spent a year on the continent) uses a video diary format to describe what it was like to overwinter on the Concordia station. The psychological and physiological challenges are similar to those experienced by astronauts on the International Space Station and will help assess how people will perform on future missions to the Moon, Mars or beyond.